On Saturday the 07/07/2018 I boarded my plane to Singapore for my internship at the TÜV SÜD Asia Pacific Pte Ltd. TÜV SÜD is a German business, that provides global testing, inspection, certification and training services with the goal to protect people, the environment and assets from technology-related across seven key sectors: the chemical and process, consumer products and retail, energy, manufacturing, mobility, real estate and infrastructure as well as the healthcare and medical device sector. 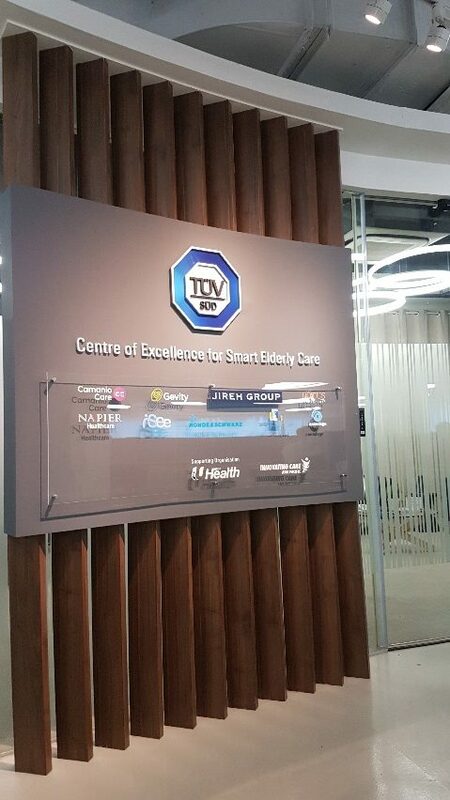 During my first days at TÜV Süd in Singapore one of my supervisors of the Human Resources department showed me around the building and provided me with informative material about the company. Furthermore, she made it possible for me to meet with employees from many different departments such as the marketing, recruitment and leadership development, who explained their tasks and responsibilities to me. This gave me a great insight into the seven key sectors of TÜV Süd and the challenges they face – especially how they support the digital transformation of the TÜV SÜD. I also developed a tool for the evaluation of one of the training programs for employees in higher management positions, which is now used by my supervisors. At the start of my second week I was introduced to the digital learning services of learning and development department, which supports the digital transformation of the company by offering courses and “learning nuggets” on many different digitalisation-related topics for employees including a web seminar, which I took part in too. Then I followed up with the “learning nuggets” on the topics Industry 4.0, Blockchain, Artificial Intelligence, Additive Manufacturing, Digital Twin, Autonomous Driving and Cybersecurity. In addition, I got to know the testing department better and had the opportunity to see the laboratories myself. Here I learned about the individual challenges and risks in all the different departments from car tires through medical devices to amusement parks and about the methods used by the TÜV SÜD to guarantee security living up to international standard. In my last week in Singapore I moved to the so-called “Centre of Excellence” of the TÜV Süd Digital Services, which has been inaugurated in March 2017 and specializes in providing solutions for new technologies involving predictive data analytics, industrial cyber security and functional safety. 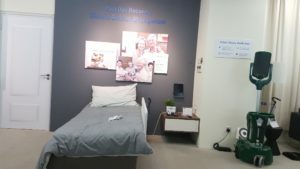 One particular focus of the CoE lies on smart healthcare for the elderly, the same field in which I am writing my research paper at the Technical University Munich. 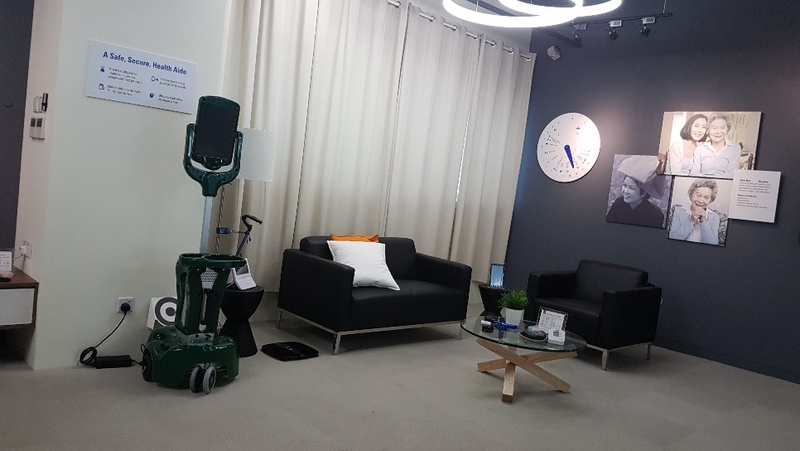 The TÜV SÜD has an exemplary living room and bedroom equipped with various devices, sensors and a roboter to show what smart living for elderly could look like. I had the great opportunity to test out the roboter and some of the devices myself. 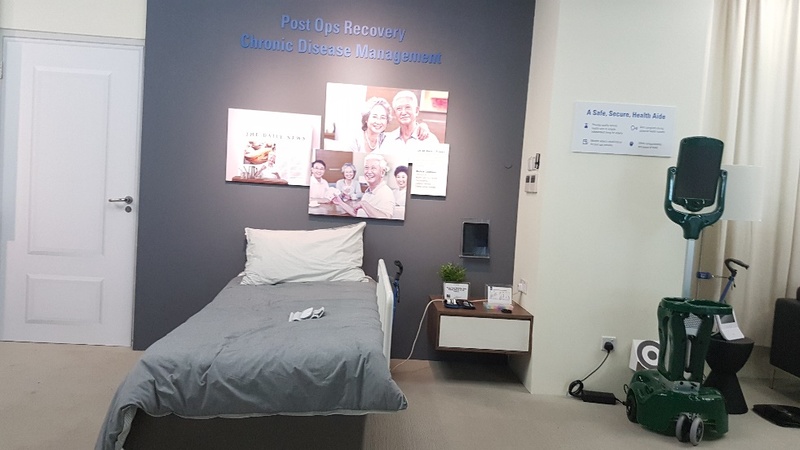 Furthermore, the smart healthcare team is developing standards for care robots for elderly, which are supposed to become the legal norm in Singapore. For this big project the company is working with the ministry of health and physicians. 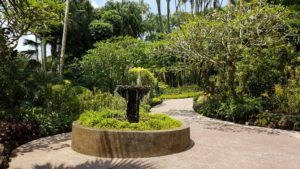 During my time in Singapore a local family with two children, an older son and a daughter around my age, was so kind and generous to take me in and give me a great insight into the typical life in Singapore. 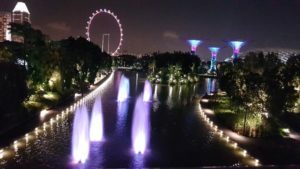 They took me with them on a hike to Singapore’s highest mountain, the arts and science museum and showed me the most popular spots for social gatherings in the city. Coincidentally they’re also passionate about horses like me and give therapeutic riding lessons for children with special needs. I got to help with this on the weekends, which has been an amazing and truly inspirational experience. Outside of work I also had the chance to do some sightseeing and explore Singapore. Although the city only has the size of Hamburg, it has a population of 5,6 Million and is both ethnically and religiously very diverse. This is reflected in the cities lively atmosphere in the streets, where skyscrapers, local shops and food courts alternate. Many people in Singapore don’t have a kitchen, but instead go to these food courts to come together with their neighbours and eat there. 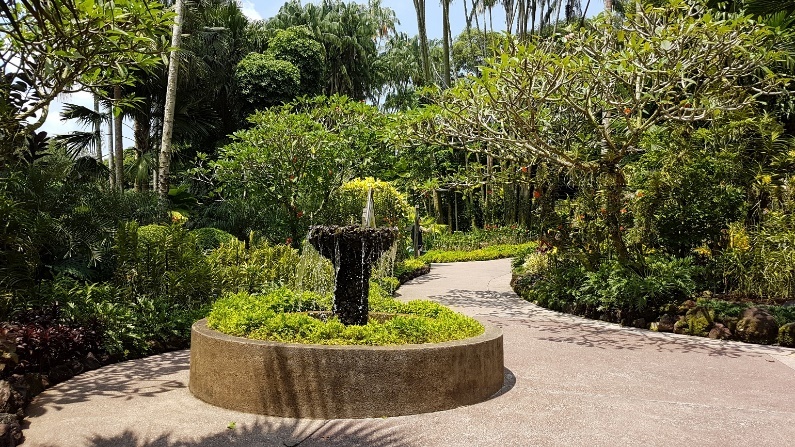 Despite being such a populated city Singapore is also incredibly clean and green with parks and little garden spread all across the city. One of the most famous tourist attractions are the magic trees, that are light up in bright colours every night. But the park’s highlight is definitely the lightshow accompanied by classic music in the evenings creating the magical atmosphere the trees got their name from. I would like to thank my guest family very much for taking me in and making me feel so welcome during my time in Singapore. I also want to express my gratitude to my supervisors at the TÜV SÜD for the great learning experience, taking such good care of me and the fascinating insights they made possible during my internship!